INCRA scores again with its precision steel rule. 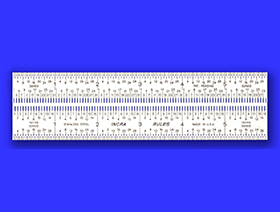 Available in 6", 12", 18", 150mm, 300mm, 10" Decimal/mm and 3"x2" (Pocket Rule) Lengths. This is our regular Marking Rule shown here is the 6 inch version. 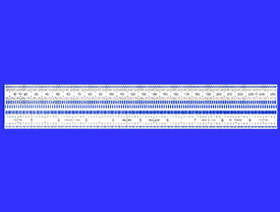 It is also available in 12 and 18 inch lengths. 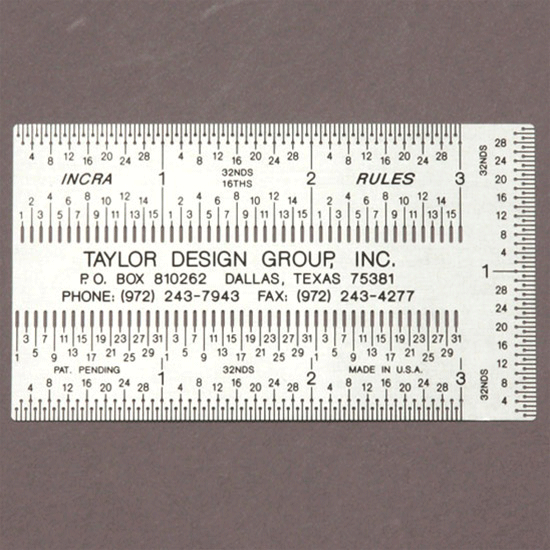 This rule offers Incra's patented marking holes at every 1/16 and 1/32 inch from 0 to 6 inches. These Marking Rules are also available in our combination pack Rule Sets. 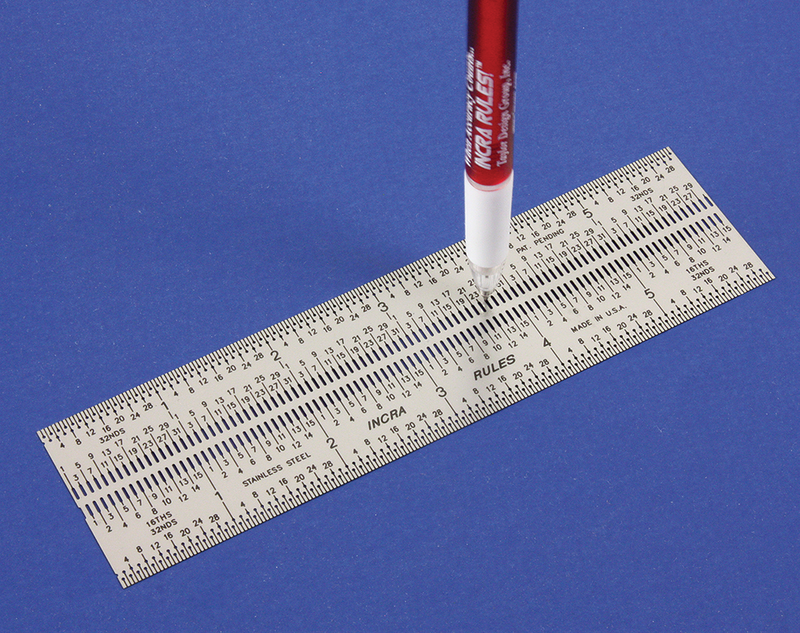 Available in 300mm or the 150mm length shown here, our Metric Marking Rules are precisely what's needed for international accuracy. 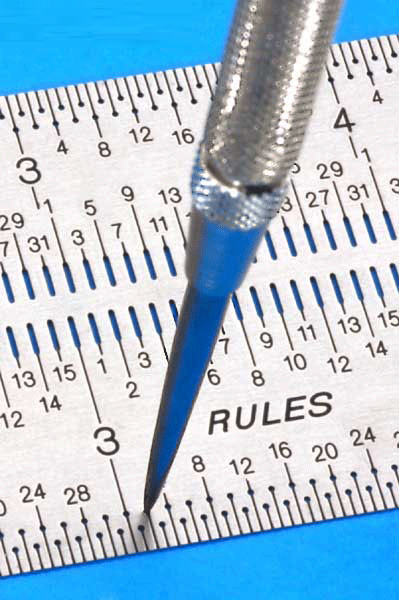 These rules offer marking holes at every 1/4 millimeter! This is unmatched in the industry of marking rules. 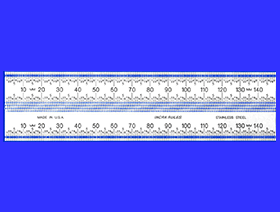 This is our 10" Decimal Inches and Millimeters Marking Rule. 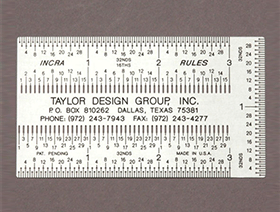 The perfect combination of traditional English and modern Metric measuring. 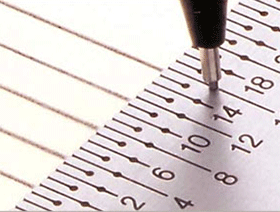 This rule offers marking holes and slots at every 1/20th of an inch and every 1.0 millimeter. 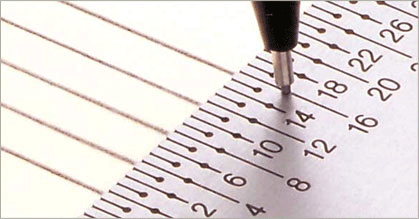 This amazing accuracy combined with INCRA's famous ease of use, makes this combination rule a worldwide success. 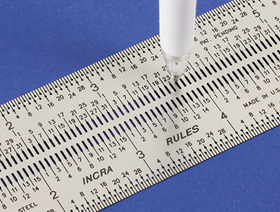 Click to download INCRA Precision Marking Rules in Windows Media format.